The 24 Hours of Daytona is always fun. This year the 3 days leading to the race were great weather days. But the rain did not hold off for the whole race. There were 2 red flags, lots of accidents, safety was in question and the race ended under the second red flag. So who was in first place as the red flag waved-YES the BMW # 25. Yea! Alex Zanardi was driving #24 and they had some steering wheel issues so they dropped to the back of the pack. Alex freely gave of his time to the fans. You should see him when it comes to a driver change. Amazing. 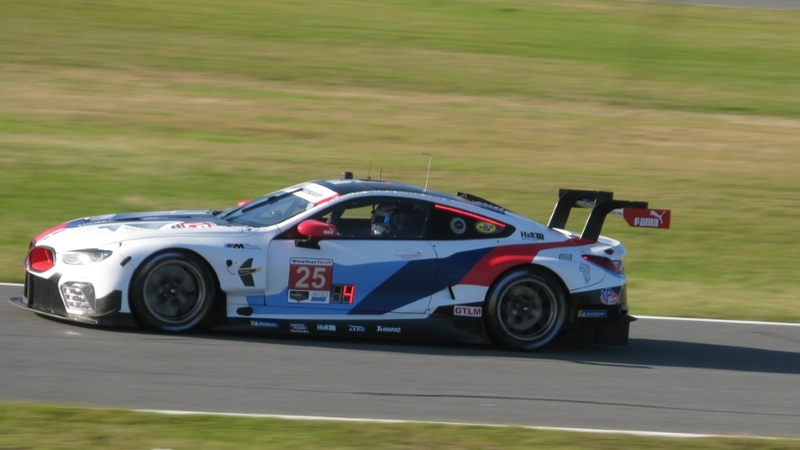 BMW was very smart having Alex at the 24. Alex deserved all the accolades he received.